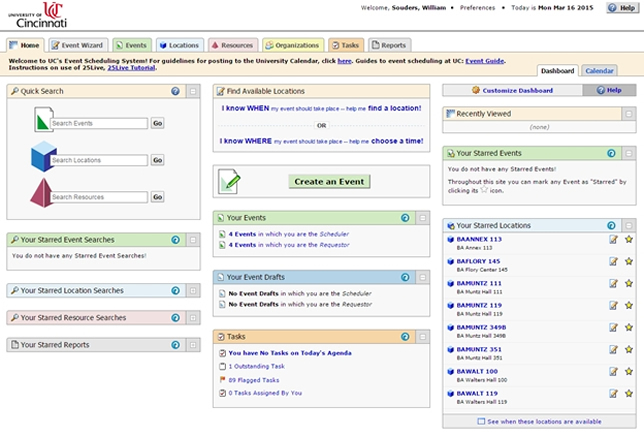 Two education technology companies have teamed up to streamline event scheduling on campuses. Software from OrgSync, which has services to help student organizations operate online, can now integrate with 25Live from CollegeNET, which allows campus event schedulers to search dates and spaces in order to reserve campus space and publish the details to the Web. Users can access 25Live through OrgSync in order to view events and locations, set up scheduling of events and assign locations and resources to them and manage event registrations. "Our goal was to create a one-stop-shop so our users don't have to switch between two platforms while planning an event," said OrgSync Product Director Kevin Wade in a press release. "Working with our mutual customers, we were able to tailor this integration to fit their specific needs." Users can access 25Live through OrgSync in order to view events and locations, set up scheduling of events and assign locations and resources to them and manage event registrations. Once the event is scheduled, the25Live "Publisher" feature syncs with OrgSync's calendars. Among OrgSync's customers are Appalachian State University in North Carolina; Washington State; and the University of California, Los Angeles. CollegeNet's clients include Atlantic Cape Community College and Carnegie Mellon and Widener U, both in Pennsylvania.